I traveled to the other side of the country to run a half marathon this Labor Day weekend. I think this may be a sign that I am addicted to running. Who goes across the country to run a race? Half Fanatics and Marathon Maniacs, that's who! 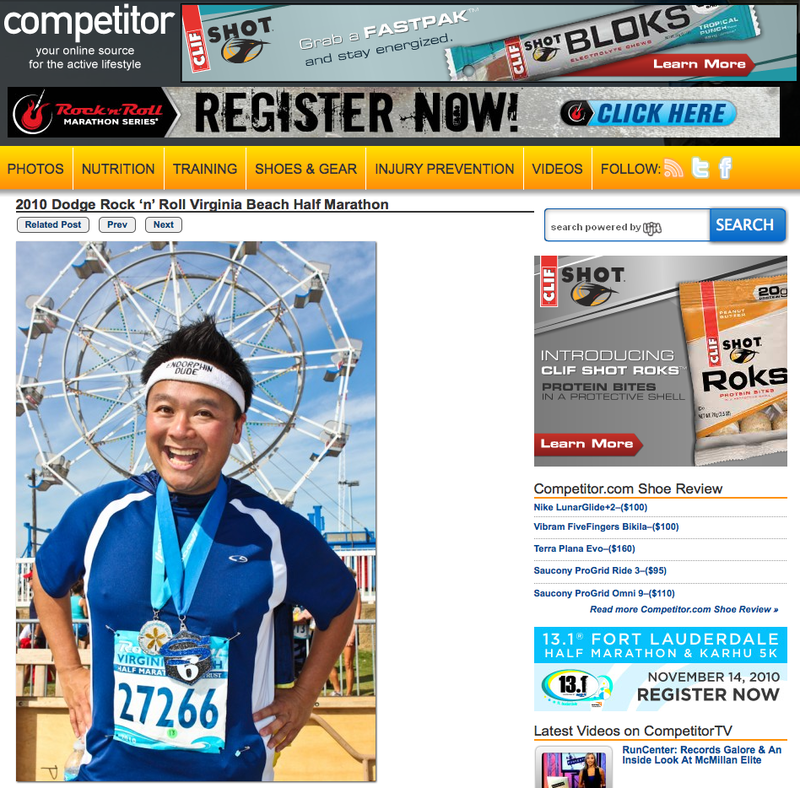 The Virginia Beach Rock & Roll Half Marathon marked my 23rd half marathon in 11 months. The funny thing is that one year ago, I ran my very first 5k. I've come a long way! 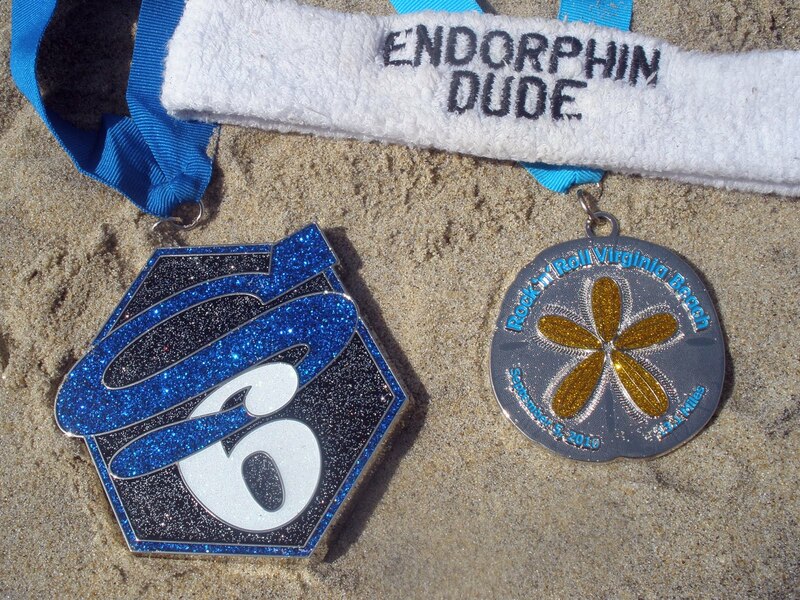 This half marathon also earned me the Super 6 medal for having completed six Rock & Roll events in one calendar year. Another milestone to add my list of accomplishments! I am now only one race shy of taking home that much coveted Rock Legend medal, and I will be doing that in San Jose in four weeks. Getting to Virginia Beach was a huge challenge for me, thanks to Hurricane Earl. Unfortunately, all flights to Virginia were canceled on Thursday night due to weather, so I had to spend the night in New Jersey. I returned to the airport the following day at 6am hoping to get on the 8am flight. No luck. So I waited around to catch the 12pm flight. No cigar. Thankfully, I was confirmed for the 3:30pm flight. The only problem was that it was that the expo closed at 6pm, so it was going to be a mad dash to get to convention center from the airport. Luckily, I didn't get too lost and was able to make it there on time! Very stressful. My original plan of flying in on Friday night and spending all day Saturday hanging out in Virginia Beach got foiled by Earl! Damn you Earl! Oh well, can't really fight with Mother Nature. I have to admit, I was pretty tired on race day. 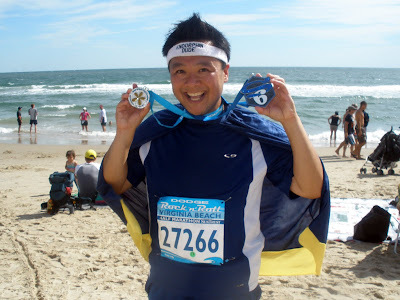 On top of wearing myself out, running around from terminal to terminal and gate to gate hoping to catch a flight, I had also just run two consecutive marathons the previous two weeks. By Saturday night, I felt beat up. I knew coming into this race that I was not going to put up the kind of numbers that I am used to seeing. 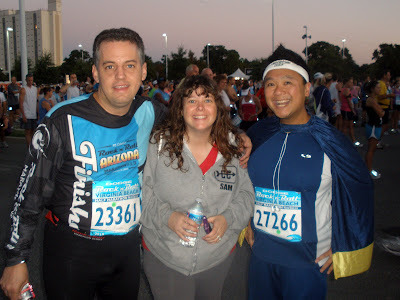 Nonetheless, I was very excited to run my 23rd half marathon, and the added bonus came in the form of two Rock & Roller friends of mine, Katie and Kevin, whom I finally got to meet in person. These two are superstars. They are completing the entire rock & roll series this year! For the most part, I felt comfortable on the course. However, by mile eight or so, it began to get really hot. I didn't want to put my body at risk, so I slowed down to a walk and continued to hydrate myself. At times, I really wished I had my Camelbak with me, but I made do with the aid stations, which were awesome. I had a lot of fun with the spectators and volunteers too, often stopping to take photos and high fiving them. The crowd support was overwhelming, especially when we reached the final three miles. Seeing and hearing them cheering all the runners on helped propel me to that finish line. When I crossed the finish line, I was greeted with cheers and congratulations from the folks at Rock & Roll. It's funny, I've seen these people at every single one of these events. We've talked to each other on many occasions. I know them by name, but they only know me by my moniker, Endorphin Dude. I'll take it! One of the guys took my picture and a few hours later I see it pop up in their photo gallery. Score! All in all, I had a great time running this race. I thought I had finished well over the three hour range, but to my pleasant surprise, my final time was 02:49:56. I'm getting pumped up for San Jose. That race will mark some major milestones for me. First of all, I will be receiving my Rock Legend medal there. Secondly, it mark my 25th life time half marathon. Furthermore, I ran my very first half marathon in San Jose, so earning the above mentioned will be special. 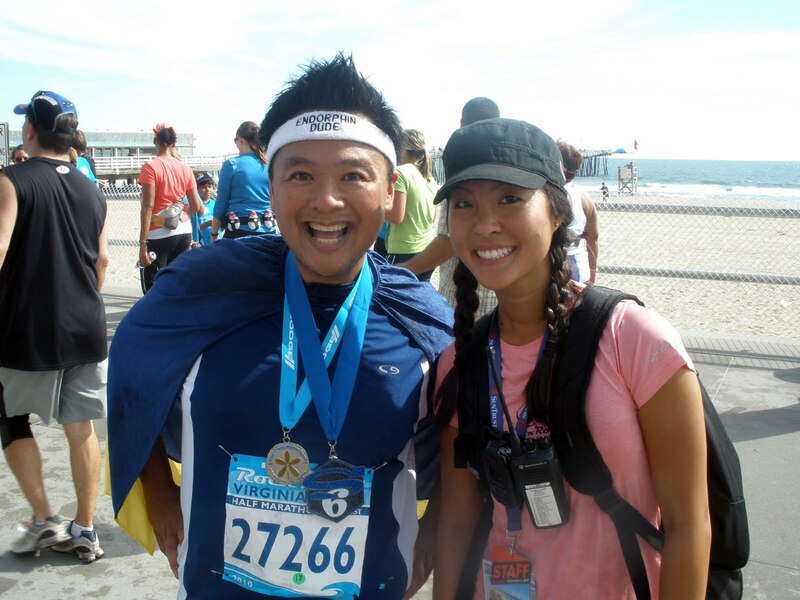 Finally, I'll be running the San Jose Rock & Roll Half Marathon with my sister Diane. This will be her very first 13.1 miler, so I'm excited to pace her. It's going to be huge in San Jose. Found your blog via SF Marathon FB page. I really enjoy it. I just started running this year and I'm amazed at the number of events that you've participated in. I will be running in SJ too. Good luck and enjoy it! Great blog Dude! 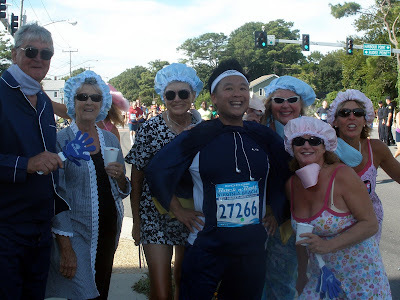 I moved away from Virginia Beach right before this race so I didn't get to participate, but many of my friends did. I'm originally from CA and moved to Korea in July. 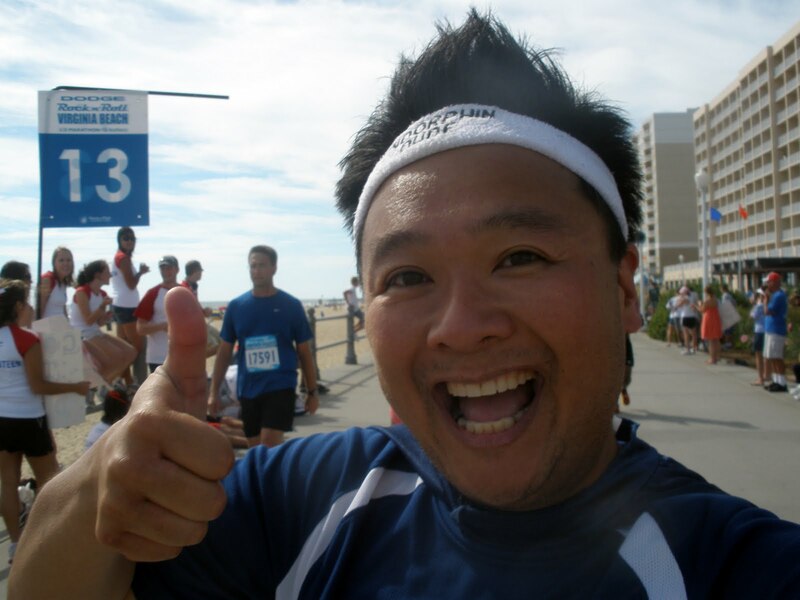 I hope to get a chance to run in Ho Chi Min City in the next couple of years! Thanks for sharing your story, you are an inspriation! I wish I would have known about you then. I ran that race as well and I didn't know anything about RR events. I ran it because of what the bling looked like. Now after 2 RR events I love them!! !